Valley’s Bre Call handles the basketball out near the top of the circle. Notre Dame’s Ava Hassel moves up the floor against Valley. Notre Dame’s Ali Smith looks for an open teammate while Valley head coach Mark Merritt points to Smith’s wide-open presence out on the left wing. MCDERMOTT — When a unit is as talented as Notre Dame is, a sizeable run can come and go before even knowing what hit a single unit. And despite a great effort from the Valley Indians’ girls basketball program, the Lady Titans of Notre Dame proved to be too much as J.D. McKenzie’s club moved to 23-0 on the year and earned yet another berth to the Division IV District Tournament realm as another outstanding effort from Lexi Smith and a blistering 21-0 third-quarter spurt carried Notre Dame to a 57-27 victory over Valley on Thursday evening in a Division IV Sectional Final at Northwest High School. However, the result, as evidenced by a slight 27-18 halftime lead for the Lady Titans, still hung in the balance until Notre Dame, behind a challenge from J.D. McKenzie at the intermission, began to take over matters over the last 16 minutes of action. “In the first half, our energy and our intensity defensively wasn’t there,” McKenzie said. “We talked about that at halftime and I challenged them a little bit. As for Mark Merritt, his Lady Indians, despite their intense effort, simply did not have the firepower to keep up with Notre Dame’s talented and experienced roster. In the opening quarter of action, Notre Dame immediately jumped out to a 14-2 lead behind the play of Lexi Smith, who scored eight of her 22 points during the game-opening run that ultimately lasted five minutes and eight seconds. Ava Hassel’s game-opening trey and a three off of the pine by Ali Smith allowed the Lady Titans to establish a commanding lead early on as Smith’s production and physical presence — which also resulted in 10 rebounds, four steals, and a block in addition to the 22-point output (7-of-9 shooting from the field) — opened up the floor. 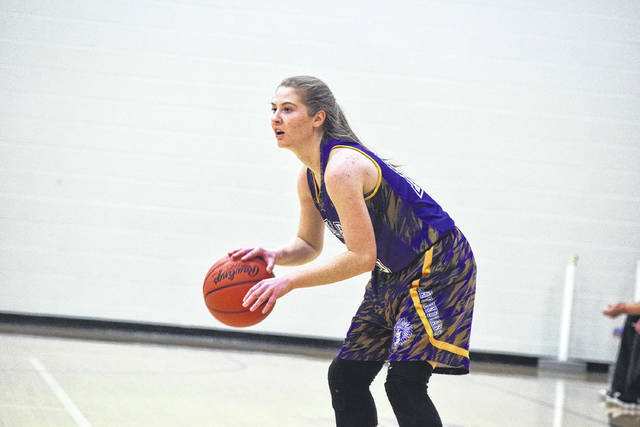 However, behind the play of Chalee Hettinger and Bre Call, Valley was able to slowly, but surely, scrap its way back into the contest in the second quarter. After trimming the defeat to a 15-7 first-quarter margin behind the former’s five points, the latter came up big by scoring four consecutive points following a 5-0 Notre Dame run, and Valley, behind a pair of free throws from Hannah Conley, along with baskets from Kaity Howard and Karsyn Conaway, allowed the Lady Indians to cut the Notre Dame lead to single digits, 27-18, at halftime by forcing the vast majority of Notre Dame’s 21 turnovers during the second quarter of action. Noticing that Valley was obtaining its fair share of points through its transition play off of the turnovers, McKenzie made sure that his point got across in a clear manner to his players before the second half began. And in the third quarter of action, that’s exactly what Notre Dame did. 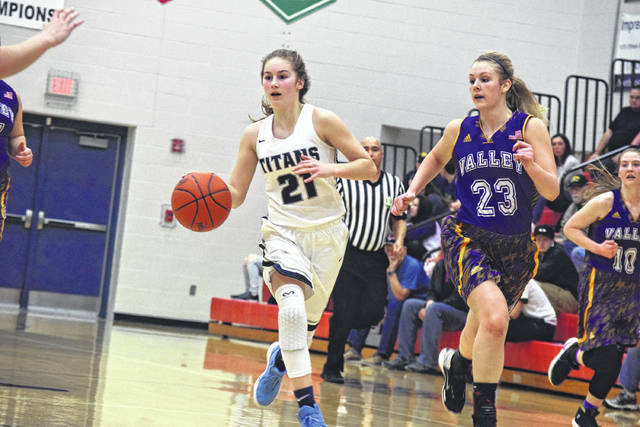 With star post player Katie Dettwiller back in the lineup after being saddled with three fouls in the opening half, Notre Dame’s defense proved to be too much for Valley’s young lineup to overcome as the Lady Titans took off on a 21-0 run. Dettwiller combined with Smith for 10 points down low in the quarter and Taylor Schmidt added all six of her points in the frame, including an off-balance runner with 1.2 seconds left, to cap off the frame with Notre Dame holding a 48-18 advantage as 23 steals from the Lady Titans — including eight alone from Ava Hassel, four by Taylor Schmidt, and three from Molly Hoover, rounded out the effort. Hassel added five assists to just two turnovers for the contest as the Lady Titans took full control. Still, Valley, who finished the season at 7-16 overall, has plenty of bright spots to look forward to as the Lady Indians look ahead to 2018-19. Bre Call, Karsyn Conaway, and Chalee Hettinger, who led Valley in scoring on Wednesday with eight and five points apiece, respectively, all return, as does Hannah Conley, who was an All-Southeast District selection last year. That same core group also only loses two seniors from a unit that also returns Bailee Day and Kaity Howard among others. With the victory, Notre Dame will advance to the Division IV, Jackson II District Semifinals, which will be played on Saturday, Feb. 24 at 12 p.m. at Jackson High School. There, the Lady Titans will face Eastern Meigs — a 54-42 winner over South Webster on Thursday evening. 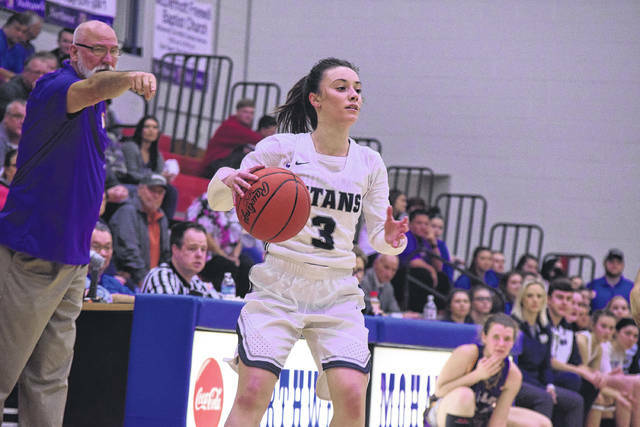 The Lady Titans, who fell by a 58-53 count in double overtime to the Lady Eagles in last year’s Division IV, Jackson I District Semifinal, will look to make revenge twice as nice after defeating Reedsville Eastern 59-44 back on Dec. 23. As for Valley, the Lady Indians will bid their farewells to two senior strongholds in Billie Jennice and Maddie Wright. Both players finished their careers as four-year lettermen for Valley, with Wright playing a key role in the starting lineup before a knee injury against Green ended her high school career one game early.